Of the two images below, which one catches your interest? Both promise the same result; sparkling, clean floors. But which one would lead you to take action? Chances are, the second image makes more of an impact. 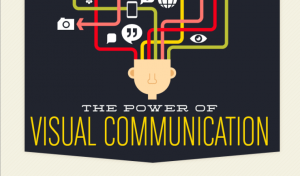 In recent years, visual communication has been one of the number one ways to reach an audience. People only remember 20% of what they read and 10% of what they hear, compared to the 80% of what they see on either social media and or websites. The use of visual communication in the business world has drastically increased because it is the easiest and most effective way to get in touch with the market. Visual IQ defines how easily someone can grab onto an image, compared to the reading of a paragraph or two. 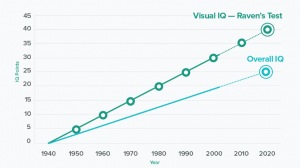 Visual IQ is rising faster than overall IQ. Using social media as a way to incorporate visual aids into a company’s marketing strategy is most beneficial. These visual aids are images, animated GIF’s, and videos. 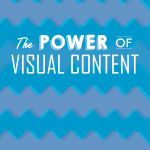 A post that includes any of these visual aids produces 650% higher engagement than regular posts. It’s all a matter of how fast our brains react to content; we are more prone to really look into detail about something if there is an image of some sort. In addition to this, the message is relayed a lot faster. 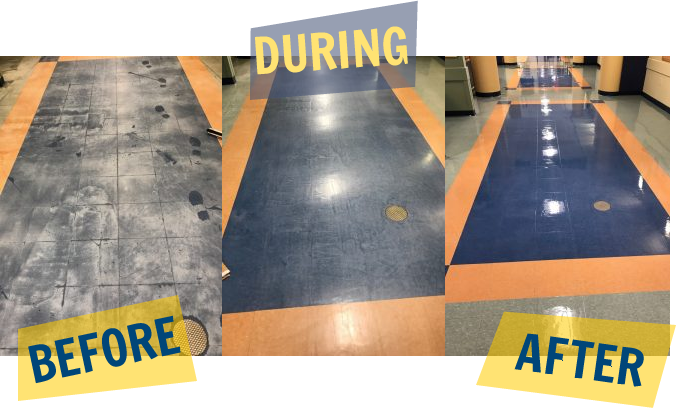 This entry was posted in Floor Care Program, Floor Refinishing, Strip and Wax, VCT tile refinishing, visual communication and tagged commercial cleaning, floor care, floor stripping, office cleaning, strip and wax. Bookmark the permalink.